If you are investing your time and money on social media marketing efforts, you want to know if what you are doing is working and how it’s impacting your brand. Likewise, if someone else is spending their financial resources on you to manage their social media presence for them, they need proof that it’s worth it. So, would you measure your social media success by the number of likes a Facebook page receives? Or by the number of Retweets a Twitter post gets? If you’re unsure about what insights actually matter on social media, you are not alone. 88% of marketers also want to know how to measure the ROI from social media. 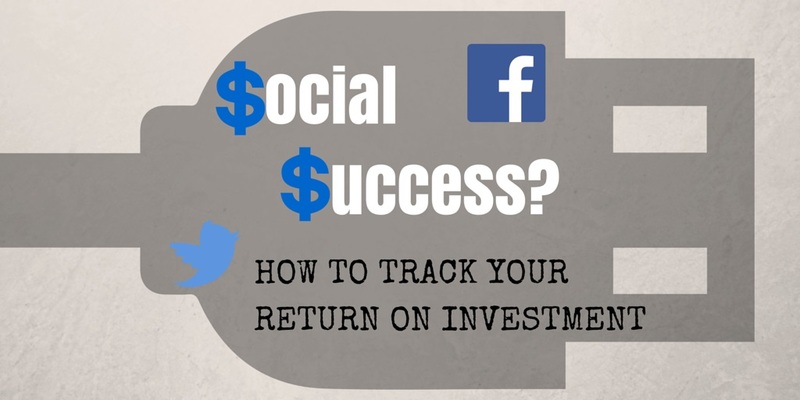 So, we are going to share with you all the information you need to track your social media return on investment (ROI) and the tools available that make it all easier for you. Without goals there is nothing to measure. Every month you must determine what it is that you or your client wants to accomplish through your social media campaign. What is important for your company at this time? Do you need more traffic driven to your website to generate leads or do you simply need more people entering in your latest contest? What is it that you want your followers to do after they read your content? Once you establish your goals, you will know what metrics need to be tracked and can begin to experiment with which tools can deliver that information to you. What tools can measure it for you? Facebook insights provides you with the information on things like how many page likes you have (the total and within the past few weeks), your post reach, and levels of engagement for each post. Using this information you can decide what time is the most beneficial to post to your fans as well as what type of post received the most attention. Additionally, if you received a lot of engagement from your promotion post and subsequently an increase in the amount of signups you received, you can probably attribute it to your social media efforts and not some freak accident. Utilizing tools like Google Analytics can reveal where most of your traffic is coming from whether it be Pinterest, Facebook, Twitter, etc. If you are an avid Twitter user, Social Bro tracks your interactions, measures the effectiveness of your campaigns, and provides you with audience insights. Likewise, Hootsuite enables you to analyze your brand growth, receive social demographics of your audience, and identify key community influencers. What do you do with the information once you have it? Create weekly-monthly reports. The best tip we can give you is to create templates for these metric reports. Doing so will not only save you time, but will keep your reports looking consistent so that you can more easily compare figures. If you need an idea of where to start, Rachel Melia created a sample reporting template for Facebook, LinkedIn, Twitter, and Blogs. Additionally, inputting your numbers into a report makes it easy to disseminate to your supervisor or client so that they can review the results and determine whether goals are being met. Similarly, your reports can be used to create your goals for the following month and highlight the areas you need to work on harder. Remember: What works on social media isn’t static. This is what makes analyzing your ROI so important. You have to constantly review your weak spots and improve your strategy to overcome them and add value to your campaign. Do you use a specific social media analytics tool that really works for you? Share your comments below, we love to hear from you!